BABE : Gentle farmer Arthur Hoggett (James Cromwell) wins a piglet named Babe (Christine Cavanaugh) at a county fair. 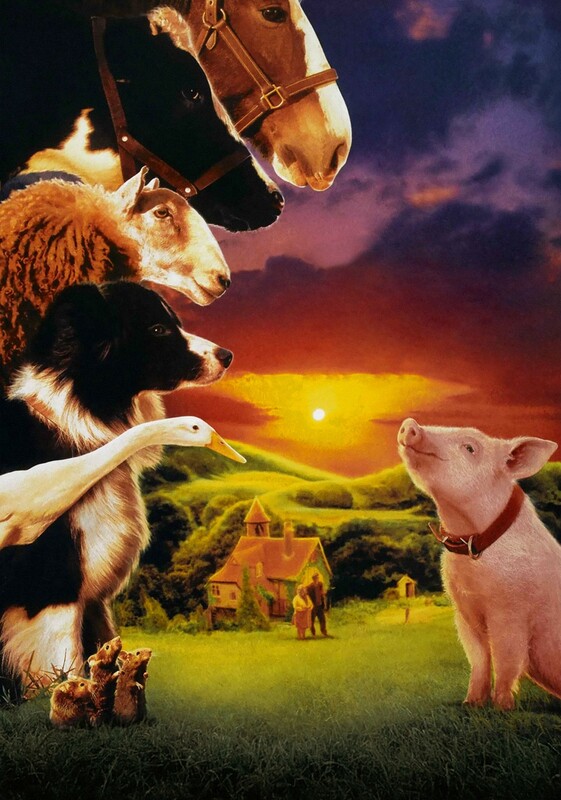 Narrowly escaping his fate as Christmas dinner when Farmer Hoggett decides to show him at the next fair, Babe bonds with motherly border collie Fly (Miriam Margolyes) and discovers that he too can herd sheep. But will the other farm animals, including Fly's jealous husband Rex, accept a pig who doesn't conform to the farm's social hierarchy? BABE: PIG IN THE CITY : When Babe accidentally puts farmer Hoggett (James Cromwell) in traction, the debtors come looking for their payments. In order to pay their debt, Mrs. Hoggett (Magda Szubanski) sends Babe off across the ocean to the city to demonstrate his talents as a sheep herder. Along with his friends, Babe meets a lot of new friends and gets into new adventures.